I read an anecdote from Stephanie Alexander, where she had had a big day of speaking and was starving, so she wandered into Colesworth and grabbed a couple of apples to tide her over. She bit into one and was rewarded with a chalky, tasteless mass. It's not really colesworth's fault I guess, we've made it so we want stuff all year round, and cheap, so they have developed fruit that will store well for long periods of time and travel well, and look good in a pyramid. Taste just fell by the wayside. 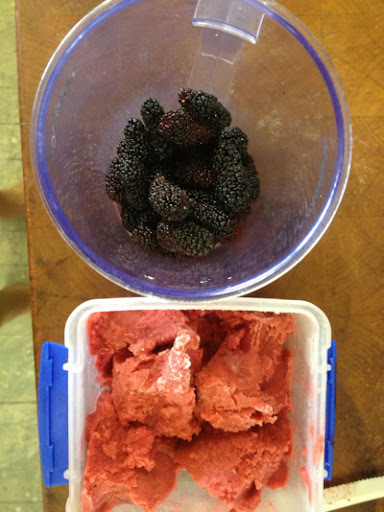 This is why the first few mulberries make me incredibly happy. It's not really a supermarket fruit, considering it bruises from the tree to the kitchen. They taste great though and after a poor season last year this year looks like it is going to be a cracker. Buggered if I know why last year was poor. The fruit this year is already big and plump and there was about a bowlful ripe when I went scavenging at lunch time. 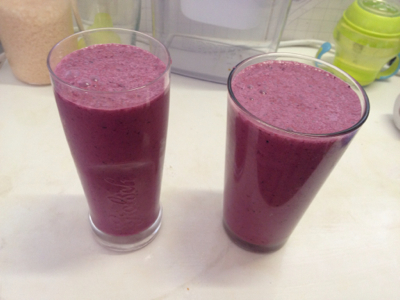 Mulberries make great pies and tarts but they rarely get further than a smoothie at Lantanaland. A bowlful of fruit, yoghurt, ice cream, ice and some fresh Lantanaland milk and you have a tasty nutritious lunch. I swapped out the ice cream and ice today for some strawberry sorbet I'd made the other day with a big batch of strawberries that mum had bought. While they fruit it is pretty much my standard breakfast, with maybe a few almonds or oats thrown in for bulk. I can't wait till all my trees are in production and I have boom and bust for a whole range of fruit. Preserved lemons, marmalade, cider are all the fantastic things you can have when you are dealing with a surplus of fresh fruit. In other news I have finally started cheese production again. 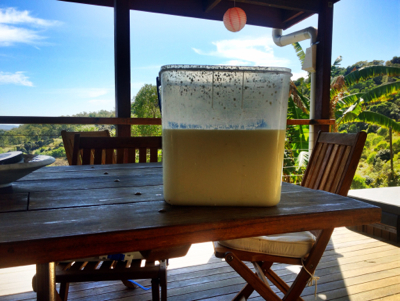 I milked out 15L of milk over the weekend, all which went into a feta recipe a cheese maker on twitter put me on to. It is so satisfying to be making cheese again. I really need to get my cheese press made and have a crack at some harder cheeses. One of my glaring weaknesses as a cheese maker is note taking and record keeping. In an attempt to rectify this I have started a very boring blog to keep track of the cheeses I make. I will label the cheese the herd share gets and they can go to that cheese and read the notes and give me feedback. I'm hoping it will keep me on the path of better record keeping. Because I want to be making a lot more cheese! Went to the cheese blog - think I will have to wait for more there! 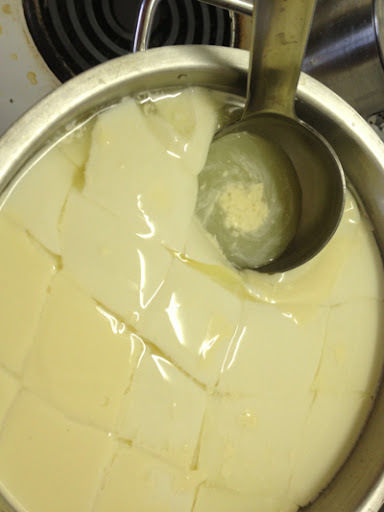 I am making feta today - second time. First time with raw goat milk it was excellent - but my brine turned it gelatinous. What the heck? Love your work, those mulberries look delicious! 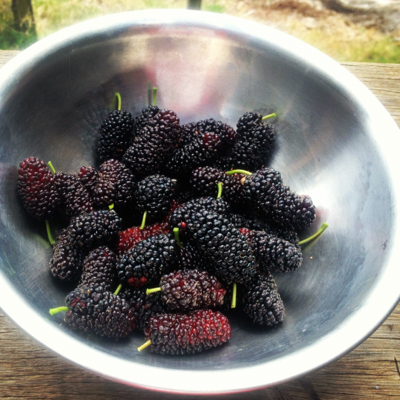 I had a mulberry tree in a place I rented for a while. Miss it.